MCL (Kent) Ltd is a general building maintenance company for all your property maintenance needs. Established in 1978 , MCL (Kent) Ltd is a Kent based building and property maintenance specialist. 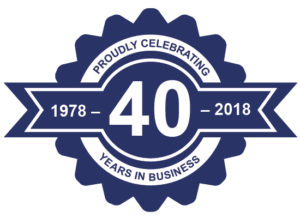 Over the last 40 years we have worked in partnership with many large Housing Associations and Local Authorities, priding ourselves on offering high quality service at competitive prices. Our experienced, professional team also specialises in Renovation & Refurbishments, Decoration Works, Asbestos Removal & Encapsulation, Mobility Access, Fencing, Handyman Service, Control Panel Manufacture and Bathroom Adaptions for those with mobility issues. Striving to transform properties, making life easier and more comfortable for those utilising them. We are an accredited company with EXOR, Construction Line, Medway Fair Trader and a Which? Trusted Trader. We are also an Associate Member of UKATA for our Asbestos Removal team. Registered as a limited company in England and Wales under company number: 01372102. Registered Company Address: Mid Kent Fencing Yard, Grove Road, Upper Halling, Rochester, Kent, ME2 1HZ.